The most common cause of feeling bloated after eating a small meal is consuming foods or drinks that can cause bloating, such as carbonated drinks, lentils, and beans. However, if you experience bloating regularly, and regardless of what food types you eat, there could be another underlying cause. There are several potential disorders which can cause bloating or fullness, but it is important not to self-diagnose, and you must visit your health professional for further investigation. Feeling Bloated After Eating Only a Small Meal: Why? The feeling of fullness after eating only a small amount of food is known as early satiety. This can sometimes be accompanied by other symptoms such as vomiting, nausea, and bloating or weight loss. If you experience these symptoms frequently, it is important to visit your doctor. Make sure that you tell him about any other associated symptoms that you are having, so he or she will be able to make a full and accurate diagnosis. There are several potential causes for early satiety, including stomach ulcers (sometimes referred to as peptic ulcers), or gastroesophageal disease (GERD). Early satiety can also be an indication of a more serious complaint - pancreatic cancer. Little is known about what causes irritable bowel syndrome (IBS). This disorder is associated with feeling bloated after eating only a small meal, and symptoms can be made worse by stress. If you have IBS, you may also experience abdominal pain, constipation or diarrhea. After a bowel movement, these symptoms will usually get better. While some people may have severe symptoms, many others' symptoms are mild. 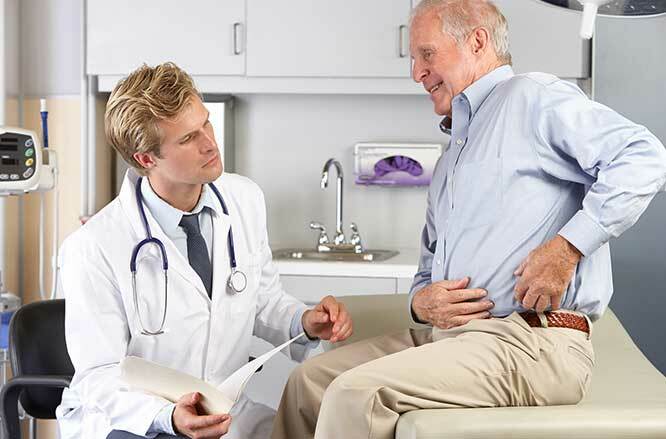 There are no formal tests for irritable bowel syndrome, but your doctor will be able to make a diagnosis from your symptoms. Gluten is found in a range of food products which contain grains such as oats and barley. Like IBS, symptoms of gluten sensitivity can vary among people. Together with bloating and fullness, you might also experience pain in your joints, or numbness in your extremities, and some people also get headaches. These symptoms may take several hours or even a couple of days to reveal themselves after eating gluten. The exact cause of gluten intolerance is currently unknown, but it is believed that the consumption of gluten triggers an autoimmune response which causes damage to the small intestine. This damage inhibits your body’s ability to absorb vitamins and minerals. Lactose intolerance is caused by a disorder which prevents the body from digesting lactose. Lactose is found in most dairy products, specifically in milk. Almost 30 million Americans have some signs of lactose intolerance by the time they reach 20. Along with bloating and fullness, symptoms of lactose intolerance include stomach cramping, diarrhea, and nausea. If you suspect you are lactose intolerant, you should visit your physician. While the previously mentioned disorders can all lead to feeling bloated and full regardless of what you eat, there are many other potential underlying causes. Swallowing air during eating, malabsorption syndromes and intolerance to some foods can also cause these types of symptoms, and so can intestinal or stomach cancers. Early Satiety: There are a variety of possible treatments which are dependent upon the cause. Medications such as erythromycin, antiemetic or metoclopramide may help. Some people find that eating frequent, smaller portions, along with reducing intake of fat and fiber, is also helpful. Appetite stimulants, and liquidizing or pureeing foods are also potential treatments. Irritable Bowel Syndrome: Avoiding foods that trigger the symptoms of IBS and learning to manage stress are two of the most successful treatments for IBS. Making changes to your diet and lifestyle, ensuring that you have appropriate levels of fluid intake and getting enough rest can also help to control the symptoms. Gluten Sensitivity: It is reasonably easy to deal with gluten sensitivity by merely avoiding foods that contain gluten. This means that you will need to avoid all foodstuffs containing wheat, rye, and barley which are often found in malt products such as vinegar. Lactose Intolerance: You can help to reduce the symptoms of lactose intolerance by including small amounts of dairy in your meals. You might also find that lactose-free (or reduced lactose) milk and ice-cream are useful. It is also possible to buy supplements, which can be added to regular milk and helps to break down the lactose it contains. Feeling bloated after eating only a small meal can be very uncomfortable. After consulting your doctor, you can try these home remedies to relieve your symptoms. Fennel Seeds: You can chew on fennel seeds or add them to hot water (allow it to steep for 5-10 minutes). This is a highly effective way to relax muscle spasms in the digestive tract. Peppermint: The menthol oil contained in peppermint is an antispasmodic which helps with flatulence. It can also speed up gastrointestinal transit. You can take peppermint by either chewing on the fresh leaves, or by steeping a peppermint tea bag in hot water and consuming 2-3 cups a day. Pumpkin: Steamed, baked or boiled pumpkin is an effective way to control gas and bloating. Pumpkin contains potassium, vitamin A, and fiber, all of which help gastric health and digestion.